Michael Suddard: End of the Toronto 5 Cent Bag Fee? End of the Toronto 5 Cent Bag Fee? "I am personally not in favour of it but I want the feedback from the councillors and the constituents." - Rob Ford in the Toronto Sun. He told the Toronto Sun that also, before the vote, is looking for a city staff report before considering the item a council meeting. Basically Rob Ford wants to do his homework on the issue and then bring it forth to be debated and voted on. I've previously written about this issue before and do believe a reduction in the use of plastic bags needs to occur. 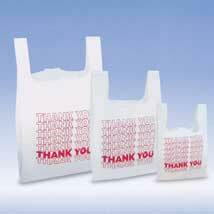 However, strategies in reducing the use of plastic bags need to be examined carefully. 1. Where does the money, collected as per the City of Toronto by-law, go? The fee is not technically a tax as the money doesn't go to the City of Toronto. If the City of Toronto collected the fee then it would be a tax and, theoretically, would be illegal under the Province of Ontario's City of Toronto act. So where does the money go? Good question. Many businesses, like Loblaws, donate the money to World Wildlife Fund (WWF) and other similar charities. Others just simply pocket the money as a new source of revenue. This obviously angers some as the prices for products were never reduced as they used to cover the cost of providing free plastic bags and now the store charges for them. This whole issue needs to be further investigated by the City of Toronto Staff for the report to be brought to council as this is definately "the homework" that needs to be done. 2. Should businesses have the five cents bag fee as a requirement by city by-law or remove the by-law and let businesses decide? Currently the city of Toronto's by-law stipulates that all Toronto retailers must charge five cents for plastic bags. Businesses have been taking a lot of heat from consumers over the charge for five cents per bag. Business owners throw up the their hands and point to the by-law saying they have no choice but to charge the five cents. Businesses should have the choice of charging the five cents and not be mandated by a city government. This could be perhaps done at the provincial or federal level in order to create a level playing field for businesses to compete in. Currently only the businesses in the City of Toronto have to legally charge the five cents. So businesses in Toronto have to compete against those outside of Toronto who do not charge five cents. It also means there are issues with programming computer systems in large retailers like Loblaws. Loblaws must now program the option of charging for bags onto their cash registers in Toronto and not for the rest of their stores in Canada. Loblaws got around this issue by charging for bags at all their stores accross Canada. But what happens to Loblaws stores in a city where a city council sets the price per bag higher than five cents? Does Loblaws raise the fee for the rest of the company's stores in the country? So obviously this issue is larger than the City of Toronto and should be investigated by a higher level of government. Businesses should be encouraged to provide incentives to customers in reducing the number of plastic bags. It is in retailers interest to reduce the number of plastic bags in a financial way. Less plastic bags used means there are less items to ship to the store and less source for in terms of finding plastic bag manufacturers that can handle the volume required. For example, it is easier to find a plastic bag manufacturer that can handle an order for 100 plastic bags rather than 1000 and thus it would be cheaper to ship 100 plastic bags to store level than 1000 bags. Loblaws, for example, already provides incentives for customers by giving away 50 PC points for every bag used. Customers can cash in 20,000 PC points towards $20.00 for anything in the store. So this translates into Loblaws giving away five cents to customers for every bag not used. Just yesterday I wrote a note to Swiss Chalet Customer Service as they also charge the 5 cent fee for their small plastic bags. A normal size bag is one I have learned to accept but, come on, 5 cents for a 4” x 6” bag?? This is where I think a retailer is pushing the point and pocketing much more than they should. There is also no choice to a customer here. When you order in, you have to accept their way of delivery and subsequently pay for it. They responded saying it was automatic in their computers, it is a municipal law and to take it up with my city councillor. I think they missed my point. I just wanted them to stop charging for the small tiny bags they use for butter, etc. The main issue here is did the customer have a choice to not use the plastic bags? It seems in this case Swiss Chalet delivery didn't give him the option to use one plastic bag for his food and butter. Instead the way Swiss Chalet normally packages items there is one large plastic bag with the food order and inside this large plastic bag is a smaller plastic bag with the condiments and utensils. What is even funnier is the large plastic bag is clear plastic. So it isn't like these items are going to be lost, you can see if the the bag is empty or not. But again, there is no alternative to the plastic bags, that I'm aware of, that Swiss Chalet offers. Swiss Chalet will need to relook at this issue as obviously it doesn't make sense to charge a customer when there is no alternative given. 3. Wouldn't charging for plastic bags be better handled by the provincial or federal government? The provincial or federal governments should investigate a method of reducing the number of plastic shopping bags used. The province of Ontario, as I commented before, has investigated ways of reducing the number of plastic bags used. Another investigation at the provincial level, like the one done by Ontario in 2007, should be done. Since 2007 the invention of the compostable bag has arrived. Should the province mandate that the compostable bag mandatory? This would obviously have major implications for the producers of plastic bags as the materials for the new bags would have to be sourced properly. So a phase of compostable bags would be a must. Overall, the City of Toronto needs to investigate several items before it can reconsider the bag tax. The homework assignment has been issued by Mayor Rob Ford. City Council and Staff need to get this assignment completed and report back for a vote.